Associate Professor Nicolas Suzor researches the regulation of networked society. He is a Principal Research Fellow in the Law School at Queensland University of Technology in Brisbane, Australia, and a Chief Investigator of QUT’s Digital Media Research Centre, where he leads a program of research on the regulation and governance of the internet and social media. 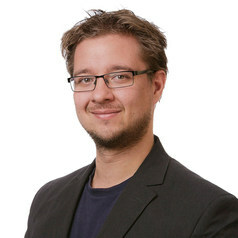 Nic is an ARC DECRA research fellow, studying the regulation of internet intermediaries and social media platforms. His research examines the peer economy, the governance of social networks, digital copyright, and knowledge commons. Nic is also the Legal Lead of the Creative Commons Australia project and the deputy chair of Digital Rights Watch, an Australian non-profit organisation whose mission is to ensure that Australian citizens are equipped, empowered and enabled to uphold their digital rights.